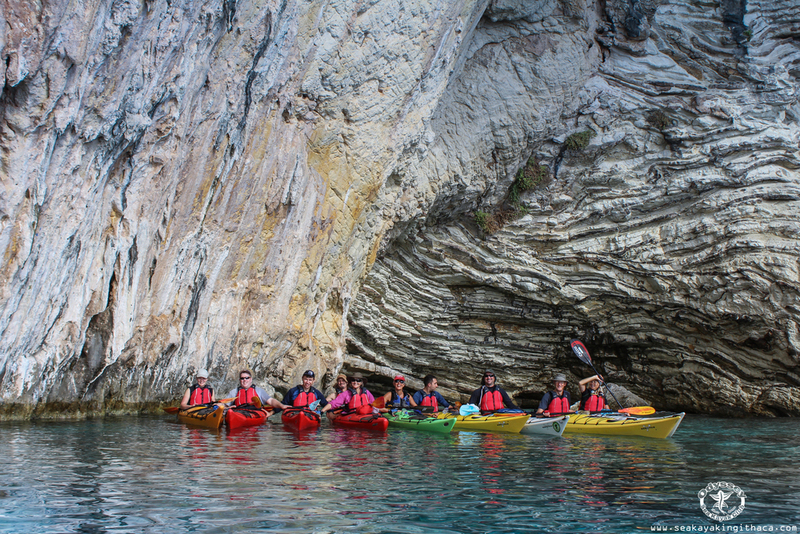 Group friendly paddling to enjoy this gorgeous coastline. 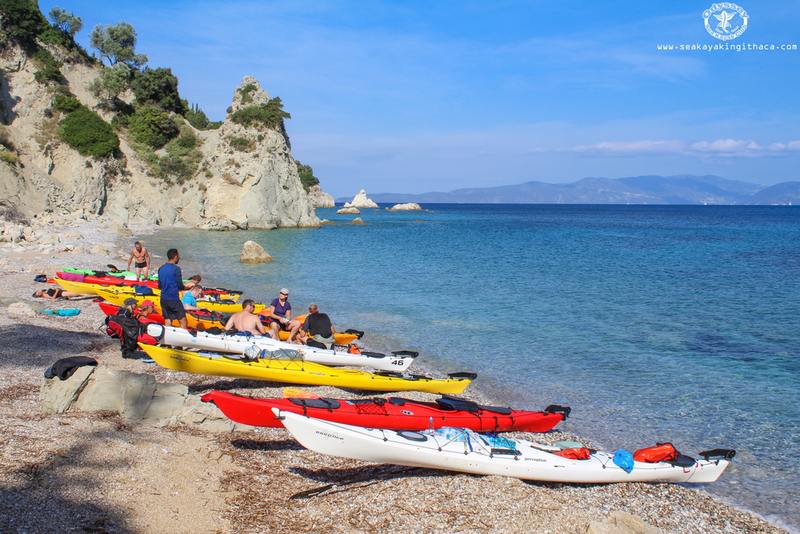 Sea Kayaking in Greece - Beginner Friendly Sea Kayaking Training. 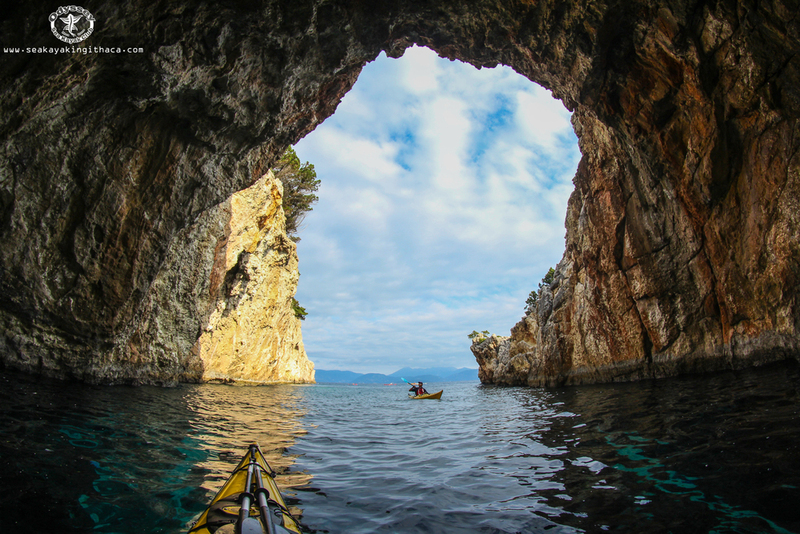 This is our gorgeous touring friendly sea kayaking coached break in Ithaca. We have been running it for a few years and can't recommend it enough as an introduction or early progression to sea kayaking in the gentle seas of this beautiful island. You will fly to Kefalonia and join us on our base at the neighbouring island of Ithaca which is on the western side of Greece. 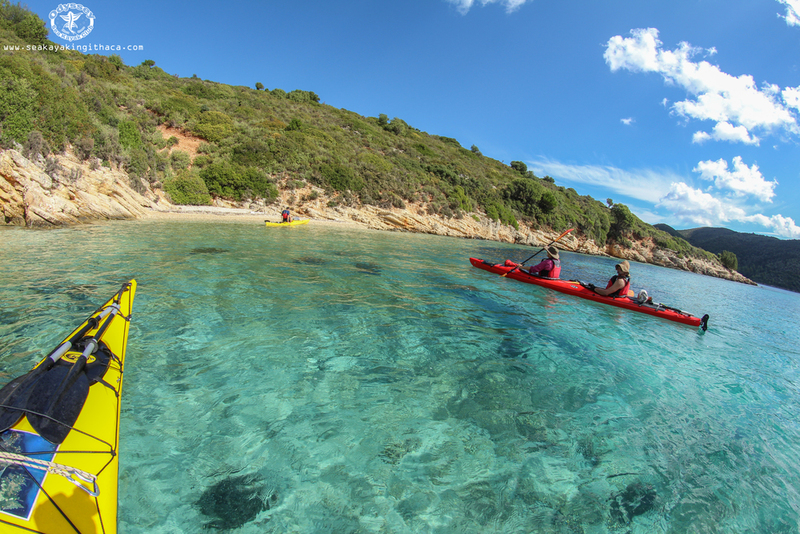 The break is a relaxed experience staying in a family hotel and kayaking every day to explore the stunning beaches and small coves of the island. Many of these can only be reached by sea. On the day trips there will be plenty of swimming and snorkelling too. 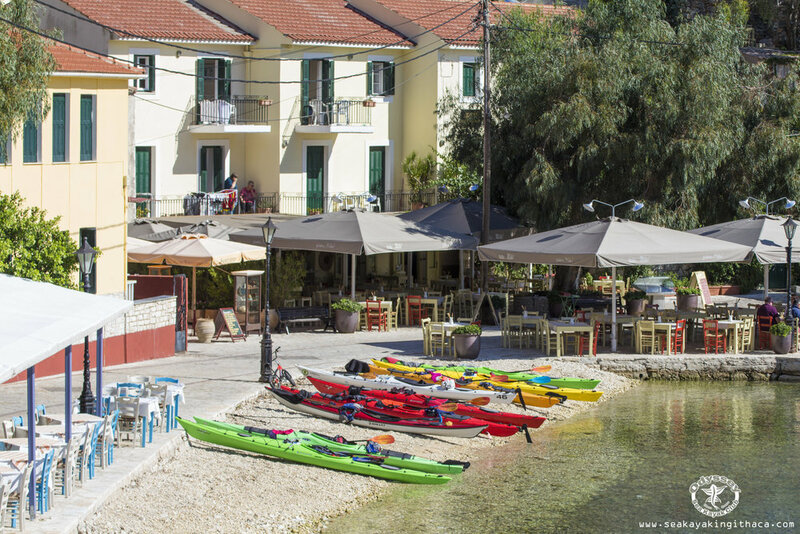 The village of Vathi, where we will stay, has many waterside restaurants and cafes where you can eat in the evenings and enjoy a traditional Greek dinner. Some fish is caught locally by small fishing boats which we are likely to meet in the mornings as we make our way out of Vathi by kayak. We will also work on safety skills such as rescues and self-rescues and we can also give coaching for rolling for those wishing to develop this technique. We will work with each paddler according to their level and needs as well as with the group. At the end of every day, we will plan the following day as a group and decide on which route to take by learning to interpret weather for sea kayaking. We will also discuss how to progress our learning and how each paddler would like to continue their personal development. We do a picnic lunch for our groups with plenty of ripe and flavoursome local produce. The bakery makes fresh brown soda bread every morning, the island grows tomatoes, onions and green peppers and produces olive oil and goat and sheep's cheeses. We stop for lunch breaks in the island's gorgeous beaches which will give you the opportunity to have a rest and swim or spend sometime snorkeling watching the many coloured fish that swim close to shore. In the evenings we socialise as a group either over dinner or over after dinner drinks in the local cafes and bars. This is a time to make new friends, talk about the day and enjoy the mild evening temperatures. During your stay you may see some of the local youngsters paddling with us. We have a program to train young people who want to become kayak guides and we take others for a paddle to raise awareness of the impact of plastic on their island. We use Perception 16 and 17 kayaks single kayaks. On request, we can also provide double kayaks. PLEASE NOTE: We can extend your stay either side of the break dates. Just let us know. If the dates don’t suit you, please take a look at our flexible packages here. The trip is suitable for all although a little level of fitness is recommended. You also have to be able to swim. Five nights shared accommodation, kayaks, general equipment such as paddles, buoyancy aid and spray deck and coach. You will have to get your own flight, taxis and cover your expenses such as provisions and tavern meals (Budget around £150 without flights). PRICE: £675 WITH 20% DEPOSIT ON BOOKING. We also work with local people wherever possible to ensure that the community benefits from the business we bring. We also organise training and development courses for local guides.